Atlanta Bridge Collapse: Could the materials that brought down a bridge be in your homes? | Lubrizol Advanced Materials, Inc.
Atlanta Bridge Collapse: Could the materials that brought down a bridge be in your homes? 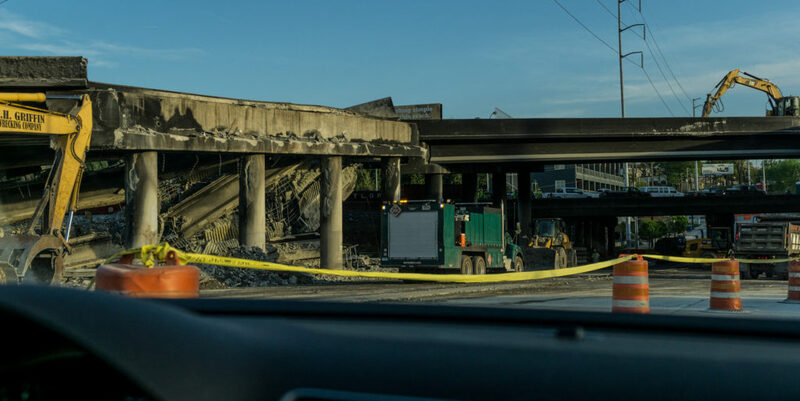 When the I-85 bridge in Atlanta, Georgia collapsed, there were many questions about what could have caused the fire to reach the point of bringing down a major interstate overpass. During the investigation, it became apparent that the area under the bridge was being used as storage for a common construction material – one that could be present in millions of American homes. According to media reports, the materials stored under the bridge included High-Density Polyethylene, or HDPE. HDPE is commonly used in piping applications, including as the primary ingredient in PEX, or cross-linked polyethylene, commonly used in domestic plumbing systems. HDPE and PEX are both polyolefin plastics and share many flammability characteristics. While these materials do have an ignition temperature well above 500°F, they also both have a “limiting oxygen index” of about 17, meaning that once ignited they will continue to burn, even after the outside flame source is extinguished. 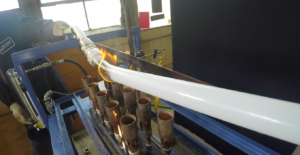 On the other hand, vinyl materials such as PVC and CPVC will not ignite until they reach about 900°F and have a limiting oxygen index of between 40-60, meaning that once the outside flame source is removed, vinyl piping will self-extinguish rather than continue to propagate flames. When you consider the fire safety aspects of the materials being put into your homes or businesses, be sure to make an informed choice. When exposed to a normal fire, CPVC will develop a char but will not make the fire worse by continuing to burn once the flame is removed. The fire in Atlanta should have never reached the point of bringing down a major interstate, and while we don’t yet know how much of a role the polyethylene pipes played in intensifying the fire, we do know that CPVC has superior fire characteristics to PEX and other polyethylene materials. To see for yourself, watch our CPVC v PEX test.